The MAMA workshop is held in conjunction with ACM SIGMETRICS / IFIP Performance 2019. MAMA encourages the submission of short papers describing early research on the general mathematical, methodological and theoretical aspects of performance analysis, modeling and optimization. Authors are asked to submit 3-page short papers, using the standard PER format, before the deadline (listed below). Submissions violating these formatting guidelines will be discarded without review. 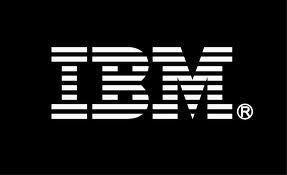 Short papers should be submitted electronically, as an e-mail attachment, to mss((at))us.ibm.com. PDF is strongly preferred, although other arrangements can be made by contacting Mark Squillante at mss((at))us.ibm.com. Submissions will be reviewed by the MAMA program committee, from which a number of short papers will be selected for inclusion in the workshop program. A version of the accepted short papers will be provided at the workshop. Revised versions of these short papers will be published in a special issue of Performance Evaluation Review (PER), with a due date after the workshop making it possible for authors to incorporate the results of, or simply mention, any relevant discussions at the workshop. Authors of accepted short papers grant ACM permission to publish them in print and digital formats. Note that there are no copyright issues with PER, and thus authors retain the copyright of their work (as explicitly stated when using the standard PER format) with complete freedom to submit their work elsewhere. NOTE: Authors will need to register upon being notified of acceptance.